The Gardiner Market has been in business since 1904, just a year after the town of Gardiner was formed. The Market has been in the Demaree family since the early 1970’s. In 1994, the Market moved from its uptown location on Park Street to a larger facility on Highway 89 that it now occupies. It is the primary grocery store for the town of Gardiner, Mammoth Hot Springs, and the surrounding area. Scott and Rebecca Demaree took ownership of the store in 2012. In that time, they have invested in exterior LED store signage totaling $100,000, initiated an on-site cardboard recycling program, established relationships with over 30 Montana suppliers, and have invested approximately $100,000 in employee housing. They are passionate about making the Market and the regional economy sustainable for years to come. 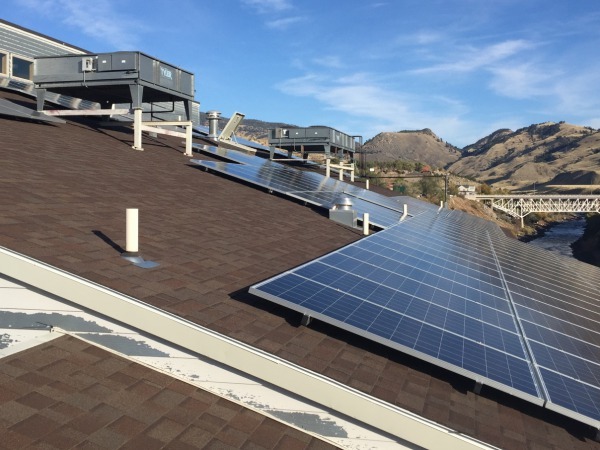 Over the course of 2014 and 2015, Scott and Rebecca worked with the staff at Onsite Energy to procure grants from the USDA REAP program and NorthWestern Energy’s USB program to help fund this 49.6 kW solar electric system. 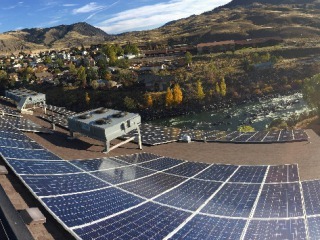 The system utilizes 160 310 watt solar panels, high efficiency transformerless inverters, and a flush mount racking system. 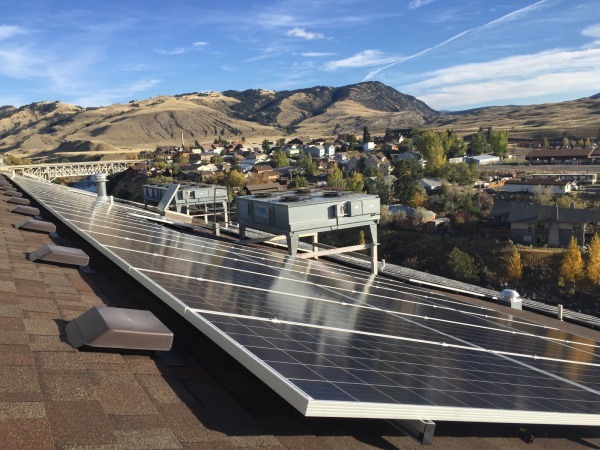 The challenge of intermittent shading from pipe vents and mechanical units was mitigated by utilizing the dual DC inputs of the inverters, dividing the solar array into isolated electrical strings and reducing the overall impact of any minor shading. 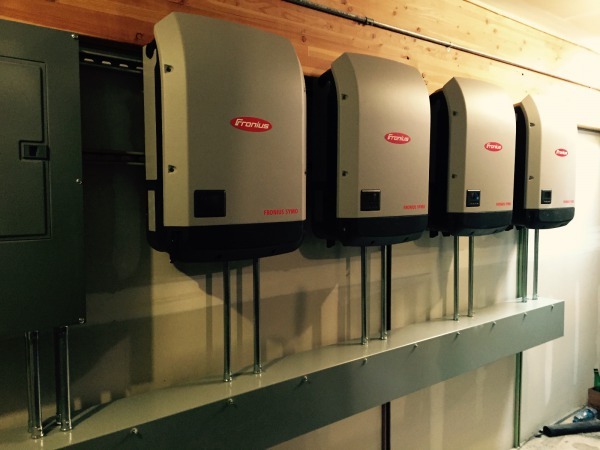 The system includes 20-Year extended warranties on the inverters and Onsite Energy’s ten-year service contract. 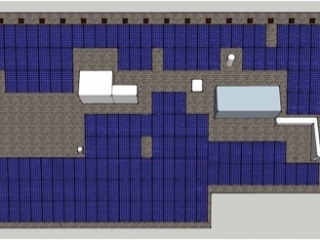 Due to various mechanical equipment located across the south facing roof area of the building, a complex solar array layout was required in order to reach the desired system capacity, while addressing intermittent shading of the solar panels. The small amount of shading on the solar array was further mitigated by utilizing the dual input technology of the inverters.